Today you’ll take a hike to a schoolhouse and a historic homestead before enjoying a picnic and swim at Metcalf Bottoms Picnic area. The picnic area and trailhead is a 20 minute drive from Townsend. Elvira's serves breakfast, lunch, and dinner. 4.5 miles from the 321 stoplight in Townsend. 4143 Wears Valley Road. Open seasonally. An easy 4 mile roundtrip hike brings you to a schoolhouse built in 1882 and then on to the Walker Sisters cabin built after the Civil War. You can enter the log structures and imagine mountain life from days of yore. Tip: You can push a jog stroller on this trail if needed. Tip: To shorten the hike to 2.6 miles total, you can park at the Greenbriar Schoolhouse on Little Greenbrier Road (closed in the winter). The parking area is less than a half-mile up the narrow gravel road, and is next to the historic Little Greenbrier School. Spend some time at the Little Greenbrier Schoolhouse. Built in 1882 with the help of John Walker, the last classes in the small schoolhouse were held in 1935. If you are here on a Tuesday, you'll often find a volunteer dressed as a teacher from the time period to lead classes as part of the park's "School days at Little Greenbrier." Otherwise, the kids will have a good time standing up front and instructing their siblings (and you). After visiting the school and taking turns being the teacher, you're now ready to continue to the Walker Sisters Cabin on the Little Brier Gap Trail. The Little Brier Gap trail is located at the end of the gravel road that runs behind the cemetery in front of the schoolhouse. The trail is nice and wide and slightly uphill but overall an easy 1 mile stroll to the Walker homestead. See our blog for more info on the Walker Sister History. This is one of the busier hikes, but your kids will love it because you get to explore inside the cabin. Arrive early if visiting in summer season to avoid the crowds. Pack a picnic to enjoy on the grounds of the cabin or return to Metcalf Bottoms Picnic Area where you can dine riverside and try to catch tadpoles and crawdads. Tip: Remember to wear or bring swimsuits to play afterwards at the Metcalf Bottoms Picnic Area where restrooms are available. 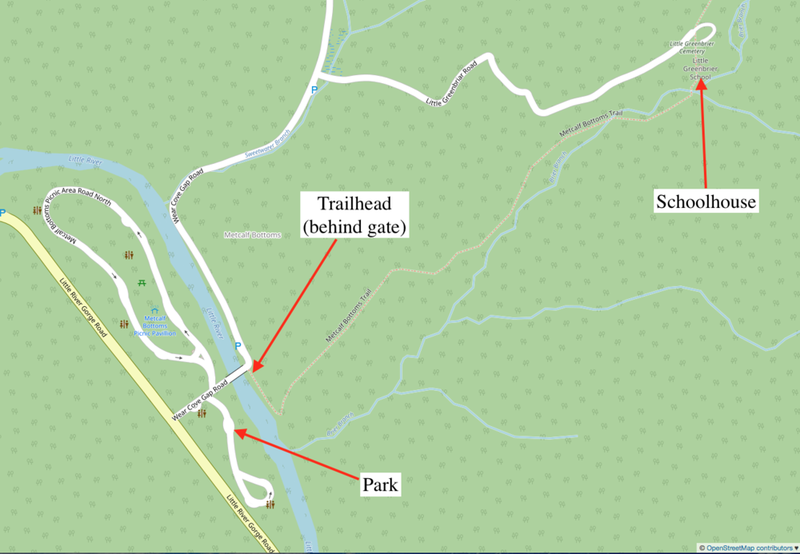 The trailhead is located at the Metcalf Bottoms Picnic Area and is easily accessed from the Wears Valley Entrance to the park. From Wears Valley Road, turn onto Lyon Springs Ln and follow it into the national park where the name changes to Wear Cove Gap Rd. To reach the picnic area, continue on Wear Cove Gap Rd and turn right into the picnic area. Park at Metcalf Bottoms Picnic area. The trail starts at the other side of the river, on the right side of the picnic area, behind a gated gravel road. Enjoy a bite and a brew at Apple Valley Cafe's outdoor beer garden and then browse the General Store for souvenirs or a candy splurge. 7138 E. Lamar Alexander Parkway. Did you like this simply awesome day in the Smokies? 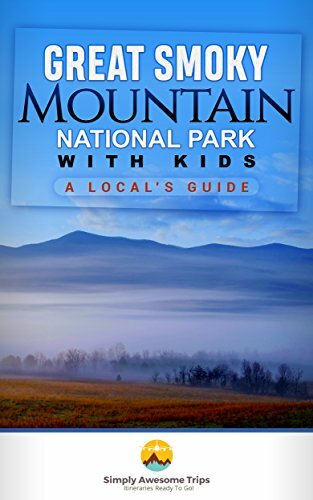 This Smoky Mountains itinerary highlights where to stay (camping, hotel, and cabins-all vetted for location and price point), where to eat, more family-friendly hikes, and other activities like exploring a cave and climbing a lookout tower. All organized day-by-day with the details you need.